Stanley C. Ahalt is director of the Renaissance Computing Institute (RENCI), professor of computer science at the University of North Carolina at Chapel Hill, and the head of the Biomedical Informatics Core for the North Carolina Translational and Clinical Sciences Institute (NC TraCS). He is principal investigator for the Water Science Software Institute project, which seeks to build a cyberinfrastructure for managing, sharing and using water science data. As director of RENCI, he was instrumental in launching two major data science initiatives: The National Consortium for Data Science (NCDS), a public-private partnership to address big data challenges and opportunities in research and business; and iRODS, an effort to develop a branch of the popular integrated Rule-Oriented Data System as enterprise-quality software, complete with rigorous testing and a robust, feature-rich code base. Dr. Ahalt serves as a member of the executive board of the iRODS Consortium, an international group focused on long-term sustainability of the iRODS data management platform. He is also a co-PI with the DataNet Federation Consortium, a National Science Foundation project to prototype an integrated platform for sharing, using and managing data across distances and scientific fields. Other leadership roles include past chair of the Coalition for Academic Scientific Computing, former co-chair of the Ohio Broadband Council, extramural member of the National Cancer Institute’s Advanced Biomedical Computing Center’s Oversight Committee, and member of the Council on Competitiveness High Performance Computing Advisory Committee. He has authored or co-authored more than 120 technical papers and been principal investigator or co-principal investigator on research grants totaling more than $17 million. His recent research publications have focused on decoupling data through encryption. Before coming to RENCI in 2009, Dr. Ahalt was executive director of the Ohio Supercomputer Center (OSC) from 2003 – 2009 and a professor in the Department of Electrical and Computer Engineering at The Ohio State University for 22 years. Ahalt launched several model programs at OSC, including Blue Collar Computing, a national program to bring high performance computing to a wide spectrum of industries and applications, and OSCnet, a leading high-speed research network for K-12 schools, higher education and economic development. 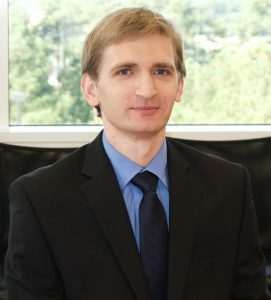 He holds a Ph.D. in electrical and computer engineering from Clemson University and master’s and bachelor’s degrees in electrical engineering from Virginia Polytechnic Institute and State University. Ashok Krishnamurthy is the Deputy Director of the Renaissance Computing Institute (RENCI), and a Research Professor of Computer Science at the University of North Carolina, Chapel Hill. 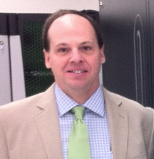 He is also the Director for the Biomedical Informatics Service at NC TraCS. Krishnamurthy has many years of experience with informatics and data science including data science cyber-infrastructure, medical image analysis, time series data analysis, machine learning and high performance computing. He has over 15 years’ experience as both a researcher and an administrator in advancing cutting-edge research in interdisciplinary teams. Krishnamurthy collaborates with researchers in informatics, biomedical and health research, and social sciences to develop projects and programs that leverage the power of data science and scalable computing to solve challenging problems that advance the state-of-the-art. He advises undergraduate, and graduate students, and mentors post-doctoral scholars and junior investigators. He is also involved in managing and enhancing research partnerships with faculty at UNC Chapel Hill, Duke University and North Carolina State University, and building relationships between RENCI and Triangle area businesses. Ashok’s research over the years has been funded by NSF, NIH, DoD, DARPA and DOE. Prior to joining RENCI and UNC in 2013, Krishnamurthy was for many years at the Ohio Supercomputer Center and a faculty member at The Ohio State University. While at OSC, Krishnamurthy played a crucial role in establishing OSC’s successful industrial outreach initiative called Blue Collar Computing. 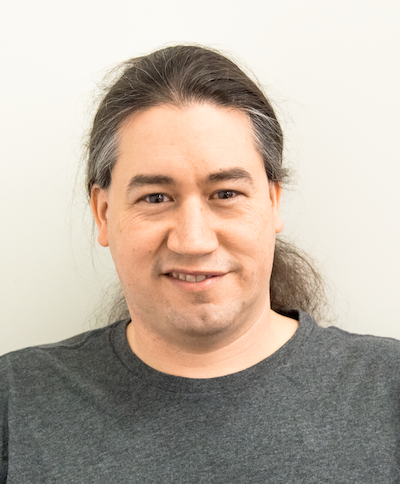 He also helped develop and deploy cyberinfrastructure that allows researchers to easily access and use computing and storage resources at OSC. Krishnamurthy holds PhD and master’s degrees in electrical and computer engineering from the University of Florida and a bachelor’s degree in electrical engineering from the Indian Institute of Technology. Jay Aikat is the Chief Operating Officer in charge of managing day-to-day operations at RENCI in UNC-Chapel Hill (UNC-CH). Aikat is also a Research Assistant Professor in UNC-CH’s department of computer science, where she has mentored several undergraduate, master’s and PhD students, and taught undergraduate computer science classes. Her research interests are in computer networking, cloud security, and data science. She played a crucial role in launching the Data@Carolina initiative at UNC-CH. Previously, she worked for eight years in leadership roles in Information Technology, mostly in academia. Aikat earned her PhD and MS in computer science from UNC-Chapel Hill. 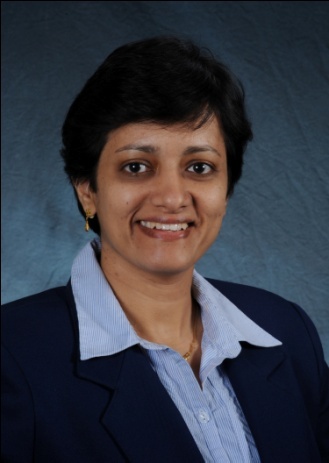 She also holds an MS in electrical and computer engineering from Ohio University and a BS in electrical and electronics engineering from the Birla Institute of Technology. Kristi Andrews is RENCI’s finance manager. She is responsible for the institute’s day-to-day fiscal management and research administration. This includes accounting, purchasing, travel, effort management and sponsored research administration. Kristi and her team are responsible for managing all institutional and sponsored research funding. RENCI sponsored research funding comes from a variety of sources, including the National Science Foundation, the National Institutes of Health, the Department of Energy and the Department of Homeland Security. Her team also provides assistance with submission of research proposals, ensuring that the institute remains in compliance with university, state and federal guidelines. In addition to RENCI, Kristi’s team also manages finance and research administration for the UNC Center for Natural Hazards Resilience and the Center for Galapagos Studies. Ilya Baldin leads RENCI’s network research and infrastructure programs. He is a networking researcher with a wide range of interests, including high-speed optical network architectures, cross-layer interactions, novel signaling schemes, and network security. Before coming to RENCI, Baldin was the principal scientist at the Center for Advanced Network Research at the Research Triangle Institute and a network research engineer at the Advanced Network Research group at MCNC, where he was a team member and a leader of a number of federally funded research efforts. He holds PhD and MS degrees in computer science from North Carolina State University. Brian Blanton is RENCI’s director of environmental initiatives and a coastal oceanographer with 15+ years of experience in coastal hazards and risk assessment, high performance computing, and earth sciences data analysis. He co-leads the Environmental Sciences group with Ray Idaszak, building connections between water-themed sciences and applications through sustainable software development and data management practices. His research usually involves applications of the storm-surge and wind-wave model ADCIRC, for problems such as how the Federal Emergency Management Agency computes coastal floodplain statistics, rapid statistical forecasting of storm surge, and risk-based coastal evacuation routing. He is also leading RENCI’s efforts in bridging the gap between academic research and industrial applications through NSF’s Industry/University Cooperative Research Centers program. He earned a PhD (2003) in Marine Sciences from the University of North Carolina at Chapel Hill, and a BS (1991) in mathematics from Armstrong State College in Savannah, Georgia. Chris Bizon is the acting director of Analytics and Data Science. He leads a team that applies a range of analytical methods including machine learning, visual analytics, semantic web-based reasoning, and textual annotation across many domains. He joined RENCI in 2008 as a member of the informatics group, where he worked in the areas of high-throughput sequencing, genomic analysis, and clinical genomics. Prior to joining RENCI, he spent a decade in the private sector working as both a developer and a researcher in the areas of fluid dynamics simulations and the application of machine learning to drug discovery. He holds a BS in Physics from the University of North Carolina at Chapel Hill and a PhD in Physics from the University of Texas at Austin, where he developed numerical models of nonlinear phenomena including pattern formation in oscillated granular media. 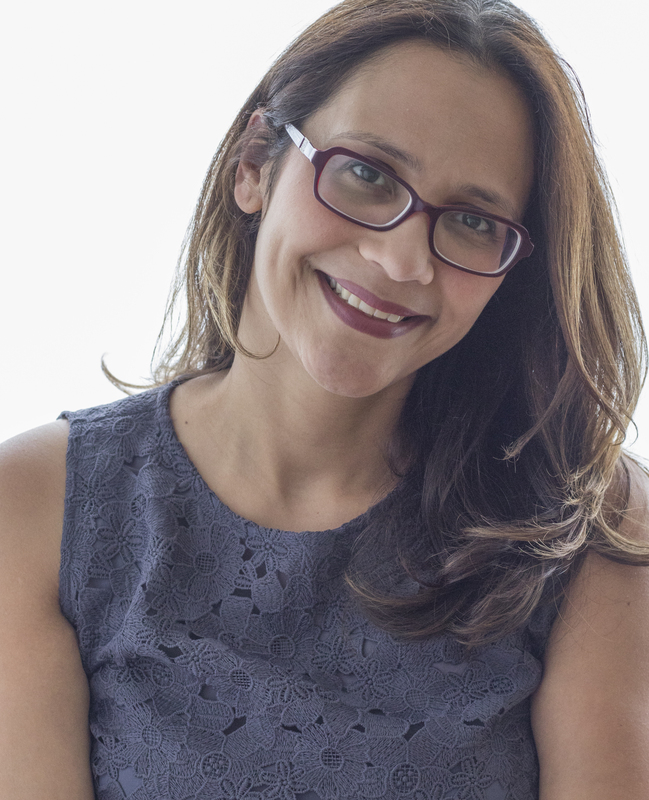 Claris Castillo is RENCI’s Assistant Director of DevOps and Cloud Strategist. She is a cyberinfrastructure and middleware expert who leads a team of scientists and software engineers in developing advanced middleware and cyberinfrastructure technologies that help accelerate data science. Before joining RENCI, Claris was a Research Staff Member at IBM T.J. Watson Research Center, where she developed novel middleware, resource management, and cloud technologies. She holds a PhD in Computer Science and a MS in Electrical Engineering from North Carolina State University. Jason Coposky is the executive director of iRODS Consortium. He leads the iRODS Consortium and the iRODS development team at RENCI. With over 20 years of industry experience, Jason has worked in a variety of technical fields, including virtual reality, EDA, visualization, and data management. Prior to RENCI, Jason was technical director for a startup where he developed projection and distortion correction technologies. Jason began his tenure at RENCI as the first member of the visualization team, creating novel large format display and multi-touch systems. He then moved to the iRODS@RENCI project as technical lead and later became chief technologist of the iRODS Consortium. In his current role, he provides management oversight for the entire Consortium. Rob Fowler di rects RENCI’s high performance computing research projects, including efforts to analyze the effectiveness of high-end systems in serving the needs of scientists and to develop software tools that enhance the performance of grid-enabled applications. Fowler was previously a senior research scientist in the department of computer science and associate director of the Center for High Performance Software Research at Rice University. He has served on the computer science faculty, in both regular and visiting positions, at several universities, including Rice, the University of Copenhagen, the University of Rochester and the University of Washington. He holds a PhD and master’s in computer science from the University of Washington and a physics degree from Harvard College. 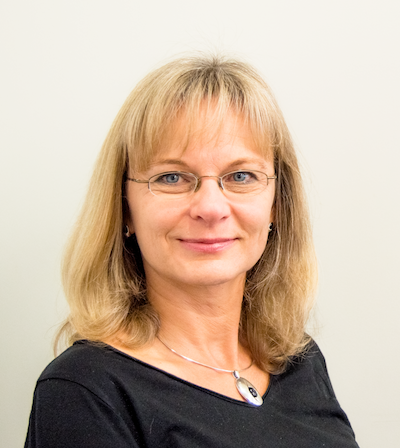 Bonnie Hurst is RENCI’s senior research project manager. She leads RENCI’s project management team, which provides administrative and technical support to RENCI’s major projects and initiatives. She is also the lead project manager for the iRODS Consortium, where her duties include, but are not limited to, handling member contracts and member/customer relations, facilitating all meetings iRODS meetings, coordinating events, managing customer relationships and CRM software, and managing day-to-day tasks for the Consortium. She previously provided similar services to RENCI’s ExoGENI project team and participates in other RENCI initiatives as needed. Before coming to RENCI Bonnie was project manager for the Microelectronics Center of North Carolina (MCNC), where she managed major software development and research projects for the Center for Networked Information Discovery and Retrieval (CNIDR) and the Advanced Technologies Groups—both research groups within (MCNC). Ray Idaszak is RENCI’s director of DevOps. 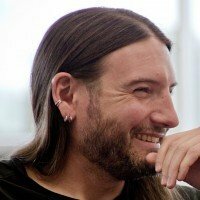 He leads a team of developers and engineers in using advanced engineering, open source, and analysis techniques in the development of cyberinfrastructure platforms. Prior to joining RENCI, Idaszak spent 12 years as chief technology officer and member of the board of directors of a collaborative environment company, where the products his team brought to market earned several industry awards. His work has appeared in magazines including National Geographic, Time, Scientific American, Discover, the cover of IEEE Computer, and on the PBS shows NOVA and The Infinite Voyage. Idaszak is listed on 12 patents and holds a computer science engineering degree from the University of Illinois Urbana-Champaign. Asia Mieczkowska is RENCI’s Strategic Projects Coordinator and manager of the Administrative Support Group for the Office of the Director. In her position, Asia serves as an outreach liaison for RENCI groups and helps to coordinate activities across RENCI, UNC-CH, Duke, and NC State. She facilitates communications among researchers and supports progress toward milestones for large multi-institutional and/or multi-disciplinary projects. Asia and her team are responsible for creating comprehensive systems that streamline data collection, reporting, and administrative maintenance for the Office of the Director and RENCI staff. 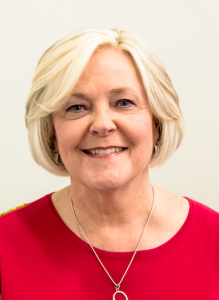 Her previous professional life includes K-12 teaching and managing one of UNC-CH’s genetics laboratories focused on the research of transcription regulation of human and model organisms. She has supported the research in ENCODE and modENCODE projects funded by the National Institutes of Health. Asia holds a MA in literature from Warsaw University, Poland, and a post-graduate diploma in Human Resources Management from the School of Business and International Finances & International School of Managers in Warsaw, Poland. Marcin Sliwowski is the cyberinfrastructure manager in charge of managing day-to-day IT operations. Before coming to RENCI, he was a Linux administrator at the Pratt School of Engineering at Duke University and the NAS storage team lead in the Engineering Department at Cisco Systems. At Cisco, he led a team that was responsible for supporting a global storage infrastructure. He holds an MS in computer science from The College of William and Mary and a BS in computer science from Bucknell University.